I have no idea how this happened, but the Nardwuar interview is now a key rite of passage in the career of any buzzy young rapper. This has led to some culture clashes! Lots and lots of extremely young rappers have had to figure out how to process this 50-year-old squeaky, obsessive Canadian punk who never breaks character! And if you can get past the schtick — and there’s always a lot of schtick — you can end up learning a whole lot about those artists through their Nardwuar interviews. Case in point: Blueface, the latest target of Nardwuar’s nutty energy and extremely thorough research. Blueface is probably the most divisive figure in rap right this moment: A young Californian with prodigious face tattoos and a tendency to rap in ways that ignore traditional ideas of flow and meter. 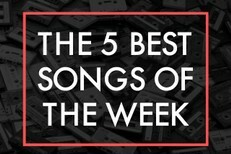 A few weeks ago, Blueface scored his first-ever top-10 single when “Thotiana” snuck in there. 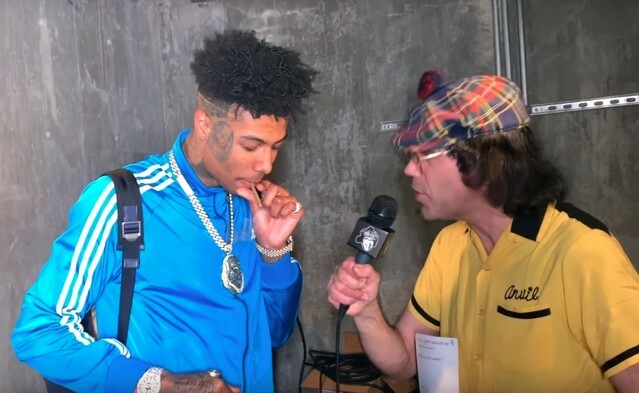 And last week, at SXSW, Blueface got his first-ever Nardwuar interview. My favorite moment was when Blueface offered advice to any rappers pulling up outside high schools to perform their songs for the excited kids out there: “You can’t have no grown-up depressing music.” Good advice! Watch the interview below.